No running this week. I'm in El Chalten in Patagonia and its cold and very windy - enough to blow my glasses off my face - not my favourite running conditions! Instead, I have been hiking on the Viedma glacier. The day got off to a good start when a puma stopped in front of the minibus taking us to the boat to start the trip. We got a good look at it walking past and away. Then we were onto a boat across Lago Viedma which took us past small icebergs and up to the nose of the Viedma glacier. The deep blue of the ice contrasted beautifully with the pale blue lake water. Patagonia is famously windy and I could barely stand up, let alone hold onto the camera on the top deck of the boat. 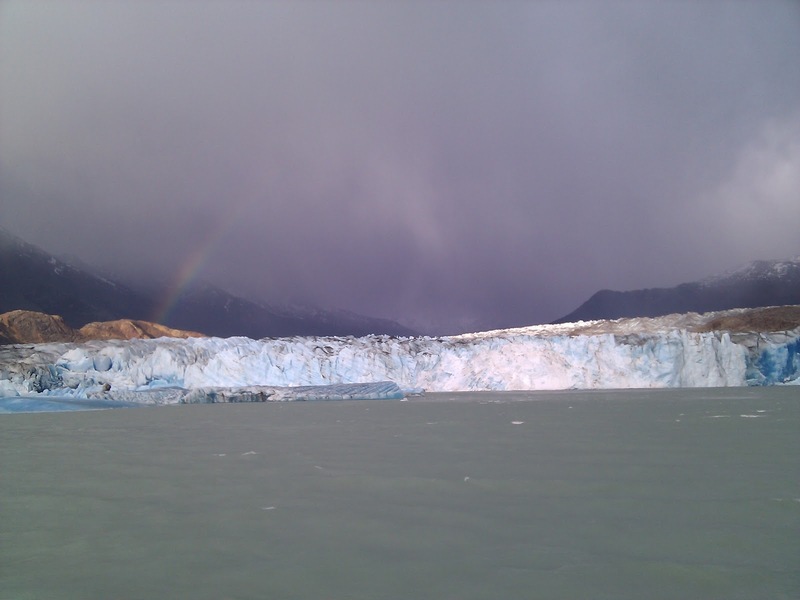 We disembarked onto orange-brown rocks which had been scoured smooth by the glacier, with deep gouges from past ice and rock movement. The rocks made for fun, easy scrambling up to the start of the glacier. 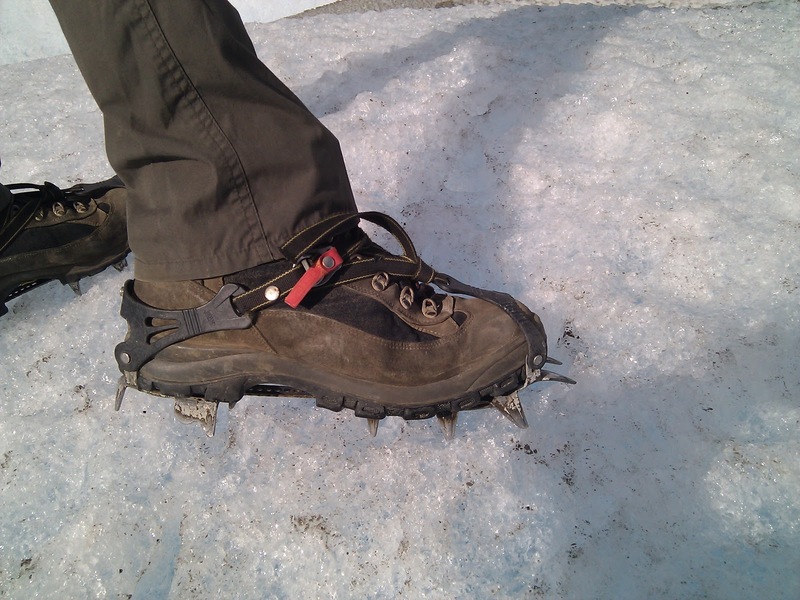 Here we strapped on crampons. This was my first time but they were easy to use, as long as you had the nerve to trust their grip when walking down an icy slope! The technique is straightforward - toes pointing forward when walking downhill, knees bent, back straight and weight well back. Uphill, toes pointing out a little and distribute weight evenly across the foot. Traversing a slope, keep the uphill foot pointing forward and the downhill foot pointing about 45 degrees to the slope to avoid turning over and breaking your ankle. 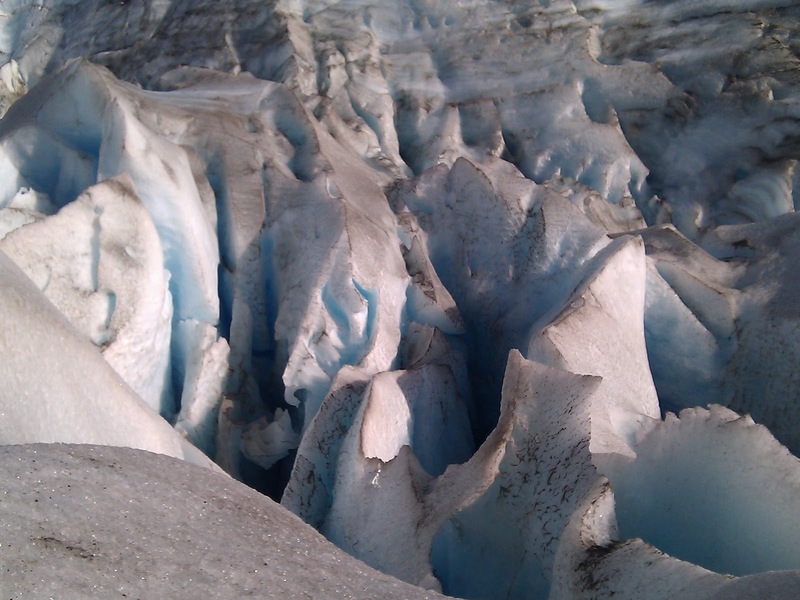 The surface of the glacier was far from smooth, with many holes formed by sun-warmed rocks melting the ice.Crevasses and trickling streams criss crossed the glacier. Despite being continuosly blasted by the wind, I kept warm from a combination of strong sunshine and five layers! I wouldn't fancy being on the glacier in bad weather. We were given a glass of Baileys with glacier ice to finish the walk! I would love to have been able to go back for a run across the rocks. 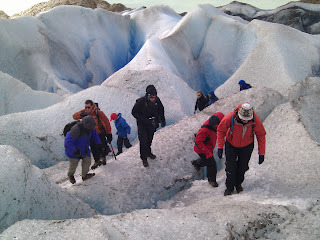 The guides were good, if a little over cautious with helping us across the ice. 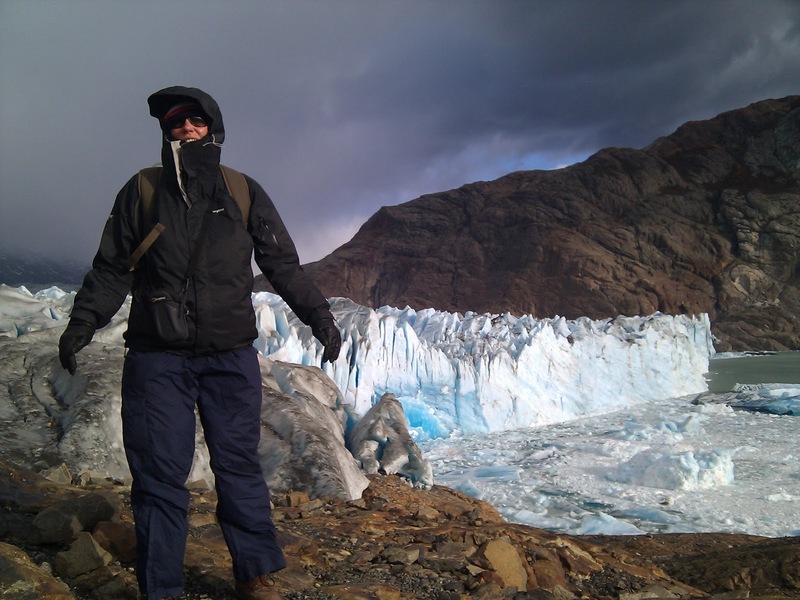 I was on the Viedma Trek package with Fitzroy Expeditions, based in El Chalten. The whole experience lasted about six hours, including two hours on the boat, and cost AR$380. I'd recommend the trip. 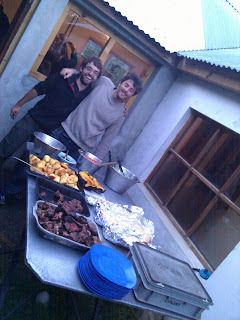 We finished the day with a lot of barbecued Argentinian beef to recharge ourselves!